"I get excited to do this for the kids," said Puig. "These kids are fighting for their lives. I want to come here for the kids. I like children. Sometimes they have situations like these with cancer, spend a lot of time in the hospital, have a lot of surgeries. Maybe this makes them excited, and that's why I want to do something for the kids. And I like it." 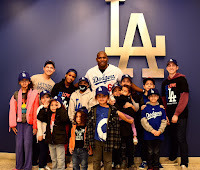 And the hospital likes Puig. 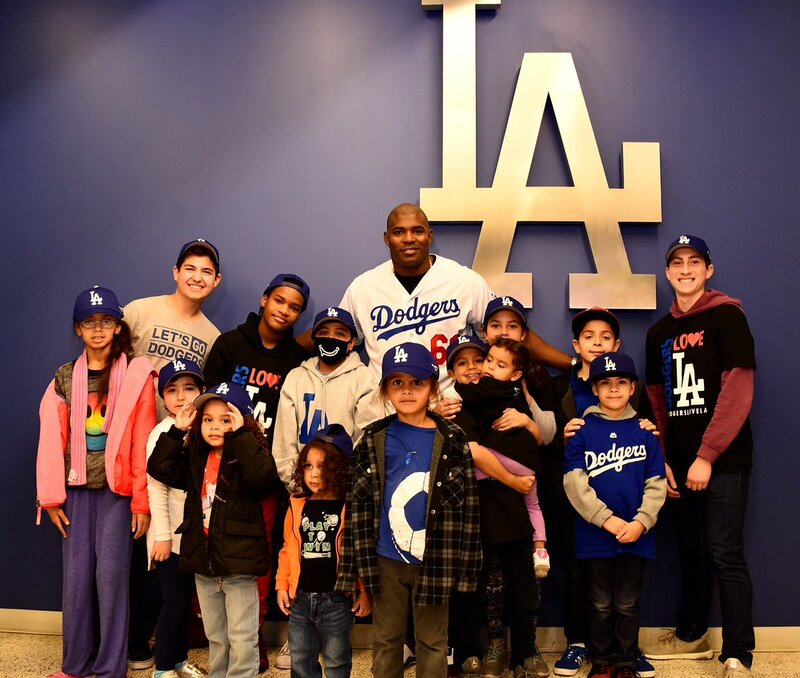 "We're phenomenally grateful to the Dodgers' organization for this; it's a great team effort, and we feel very privileged to serve the families and communities that need our services," said Dr. Charles Simmons, professor and chairman of pediatrics at Cedars-Sinai. "The kids and their families are so resilient, and we are reminded all the time that it's not just about yourself and how you adapt, but the people around you. 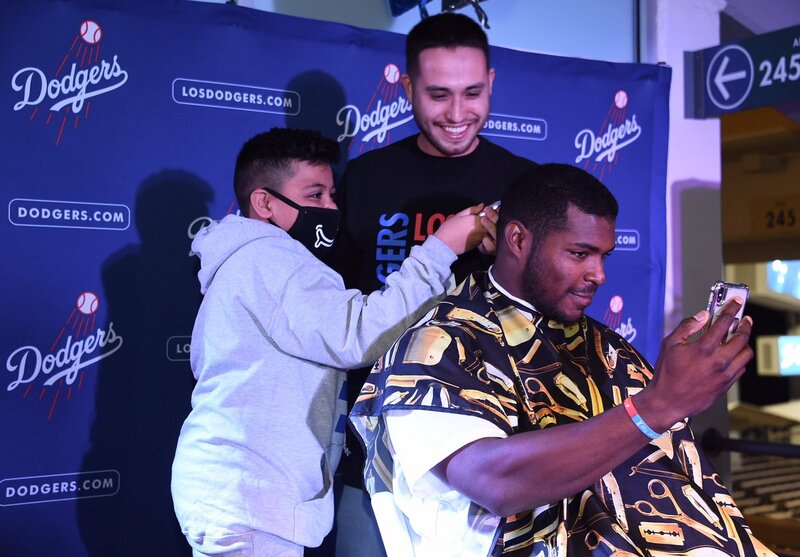 And the Dodgers give them a sense of self and part of a team effort. It's very impactful." This Day in Dodgers History: In 2017 the Dodgers signed super-stud free agent reliever Brandon Morrow. Happy Birthday, Jeff Branson, Kaiser Wilhelm, Johnny Frederick & Antonio Perez! ICYMI: Audio: Kenley Jansen joined Petros and Money for an EXCLUSIVE conversation on Monday, talking pitch clocks and much more (audio link). How do you know if a story is good to tell amid a game? The storytelling thing stands out for me, because it’s a big part of what makes it special. You don’t try to copy what somebody else is doing, but there’s a reason people like the storytelling. My ears would perk up when I heard myself telling a story. People want to know that these are humans before they’re players. They want to know about them. Vin gave a great blueprint. You don’t excel for 67 years without doing things people really like. I do stories more than I normally would. A big part of it is just being around, be around the cage every day and when you travel you’re in a plane, hotels and buses with them all the time. I try not to be in their space all the time, but enough to learn some things and translate that to the listeners and viewers at home. 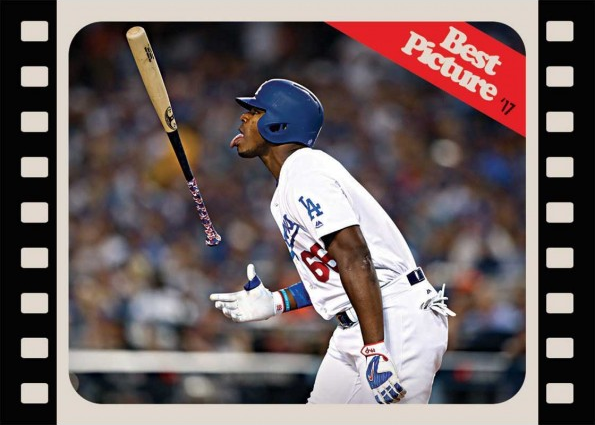 BTW, Joe Davis will appear for a Baseball Night event in the South Pasadena Public Library Community Room on Monday, January 29 at 7 p.m. Houston Mitchell, Assistant Sports Editor for the LA Times, will serve as moderator and pose the questions for the discussion. It will be followed by a Q & A with the audience. This weeks 2018 Throwback Thursday online exclusive set features the the '76 King Kong set design and includes a card of Yasiel Puig. See that on the right. Go here to check it out and order. Congrats, Angels fans! Per Josh Mayhood at Halos Heaven; "Halo of Fame: Vladimir Guerrero chooses the Angels, becoming the club’s first player enshrined in Cooperstown." It still irks me that the Dodgers didn't sign him when they had the chance. Via Matt Borelli at Dodger Blue; "Dodgers News: Donovan Solano Taken To Hospital After Hit By Pitch To Face."